Jesus loves you and this is the truth! Do not cower with the thought and do not fear that you can't be forgiving; God is a God a second chances. Repent. This is Louie, my fancy Red Cochin. He is very protective over his hens, just like any rooster should be. 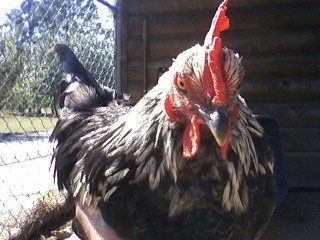 He is the only remaining chicken from the first clutch of chicks I ever got, January 2009. This is Louie (right) and his recently sold son (left). 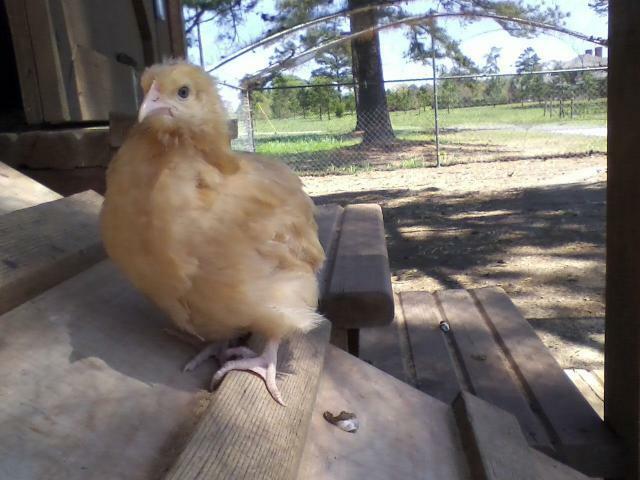 Soon enough Cory Rose will have to be sold, and Louie, if he can't be kind to a Buff Orpington rooster that we're getting for free in the Fall, may be gone by next year as well. We are hoping to sell Louie to a kind home that is looking for a sweet pet rooster, but I cannot decide how they will use him. 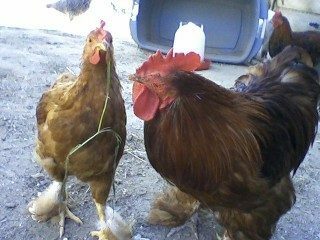 I hope they both find a good home, and I hope that our Buff Orpington rooster will be just right for us. I hope you liked my chickens, and please PM me if my page seems outdated or you have any kind of question. 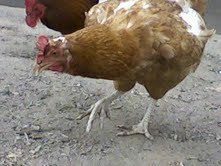 There are three things that are stately in their stride, four that move with stately bearing: a lion, mighty among beasts, who retreats before nothing; a he-goat, a king with his army around him, and a strutting rooster.